When one looks at it objectively, most industrial plants constitute a hazardous zone. Many materials necessary for process operation, and also finished products, are flammable or explosive. The more of these materials are needed for the manufacturing process or are generated – for example in chemical or petrochemical industries – the higher is the risk, and the more far-reaching the safety measures. Any slight spark, any overheating can lead to an explosion with fatal consequences. 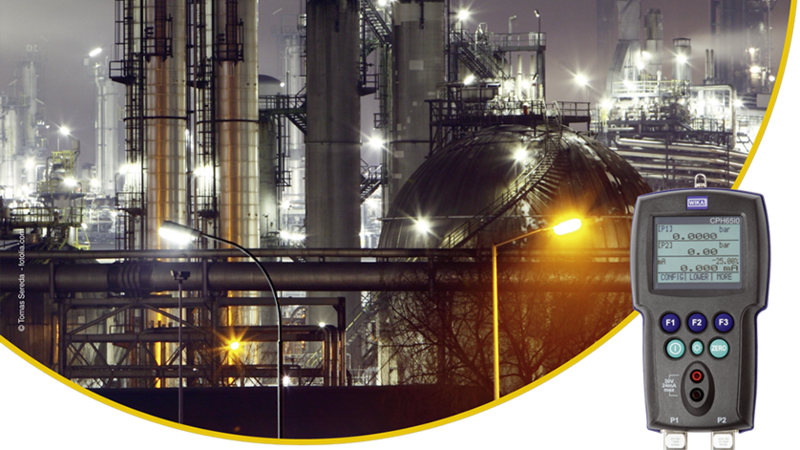 High-quality measurement and control technology in industrial plants serves as prevention. Their routine calibration is increasingly taking place in the plant (e.g. using the intrinsically safe WIKA pressure calibrator model CPH65I0). The requirements placed on the reference instrument for a check in hazardous areas are high. The “Ex suitability” of an instrument is guaranteed with the ATEX certificate. Underlying this is directive 94/9/EC of the European Community, to avoid unwanted explosions in industry. Within this, all relevant requirements for calibrators, equipment and components are laid down. 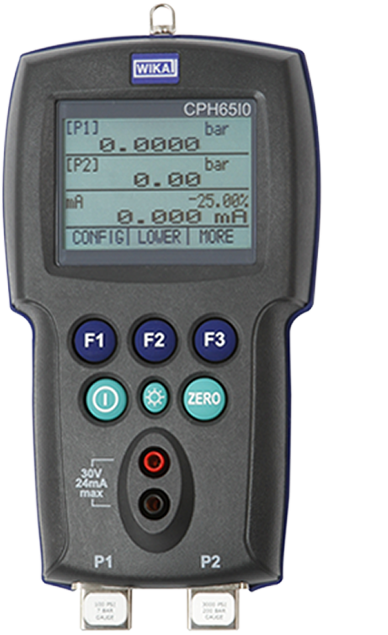 If calibrators are developed, designed and built in accordance with this directive, they can be subjected to a uniform EC-type examination. If it passes this, the instrument is granted an ATEX certificate. In general, it should be noted that explosion-protected test items should only be tested using approved calibrators. The circuits in such instruments (e.g. the intrinsically safe WIKA pressure calibrator model CPH65I0) are all current- and voltage-limited. Their energy is thus limited so that, even in a fault condition, any danger of ignition or damage of the test item is eliminated. If, for example, an ATEX-approved process transmitter was tested with a non-intrinsically safe calibrator, damage from unlimited current and voltage outputs could not be excluded. Against this risk, for non-intrinsically safe calibrators, a safety barrier (such as a zone separator) would have to be interposed. Such protective devices, however, affect the accuracy of measurement, so that additional errors would have to be considered in the calibration. Intrinsic safety makes such considerations redundant. The demand for portable calibrators in hazardous areas is increasing – not only for safety reasons, since explosion-protected test items can remain in the plant but can still be calibrated precisely. Mobile devices are, for many industrial applications, also an economical solution – even when purchasing expensive intrinsically safe products. As an on-site calibration results in only a relatively short process interruption. The operator can save time – and thus money.